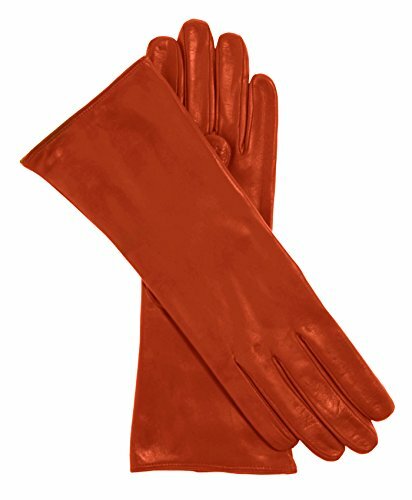 These long leather gloves for women are as simple and elegant as you can get. The longer four-button length extends approximately four inches up the arm for smooth and beautiful lines, perfect for dress occasions like the opera. There are no buttons, vents or decorations, just classic dress glove style and the unmatched craftsmanship of the designer Italian artisans at Fratelli Orsini. Inside, a luxury cashmere lining wraps your hand in softness and keeps you warm so cold weather won't ruin your special occasion. Made in Italy by Fratelli Orsini. SIZING HINT: These gloves run true to size.